Pine Ridge Homes For Sale, Homes For Sale in Pine Ridge Estates Lots For Sale. - CENTURY 21 J.W. Morton Real Estate, Inc.
Pine Ridge Estates is a deed restricted equestrian themed community in Beverly Hills Florida. Centrally situated in the middle of Citrus County, a home in Pine Ridge Florida is close to everything. Pine Ridge Estates occupies 10,000 acres made up about 5,000 lots ranging in size from one acre to about five and a half acres. The homes in Pine Ridge are beautiful country estates in a wooded setting. The surrounding countryside is made up of undulating hills and aromatic pine forests and oak trees. Pine Ridge Estates is also a designated bird sanctuary, where bald eagles, red-headed woodpeckers, great horned owls and red-tailed hawks reside. In addition the area is also home to abundant wildlife including gopher turtles, bobcats, opossum, red and gray fox and raccoons. Pine Ridge most well know for its equestrian lifestyle. 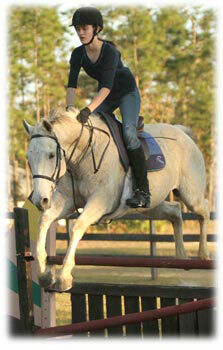 Rolling pastures and sunny meadows mix with the forest all inter twined with over 28 miles of horseback riding trails. Over one hundred residents in Pine Ridge Estates have certified stables for their horses on their own property. The Pine Ridge Equestrian Complex also offers stables, corrals and professional paddocks as well as horseback riding lessons and equestrian jumping in Pine Ridge. You are not required to own or even love horses to live in Pine Ridge, the 94 acre Pine Ridge Community Center offers many other activities including tennis courts, shuffleboard courts, children's playground and the active community center with its game room and full kitchen. 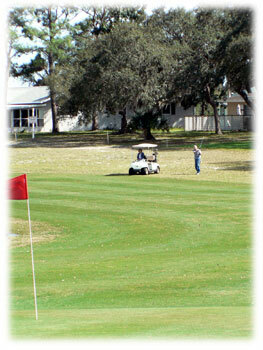 The Pine Ridge Golf and Country Club also offers hours of entertainment for the avid golfer or the not so serious. 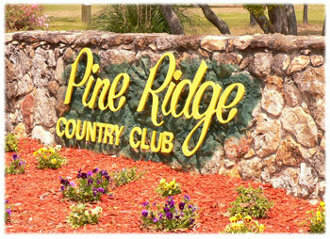 The 18-hole "Pine Ridge" course at the Pine Ridge Community Golf & Country Club features 6,106 yards of golf from the longest tees for a par of 72 . 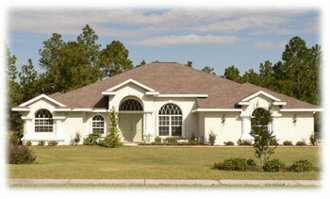 Because it is such a large community, there are always fine homes for sale in Pine Ridge Florida. 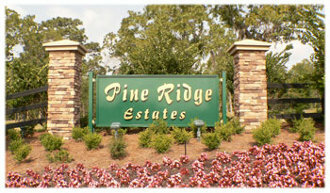 There are also many lots for sale in Pine Ridge Estates to purchase and build your new home in Pine Ridge FL. If you would like more information on the exciting Pine Ridge Estates lifestyle or to view homes for sale in Pine Ridge Florida, please contact us today!